Your steak might not be as fresh as you think — but that’s not a bad thing. 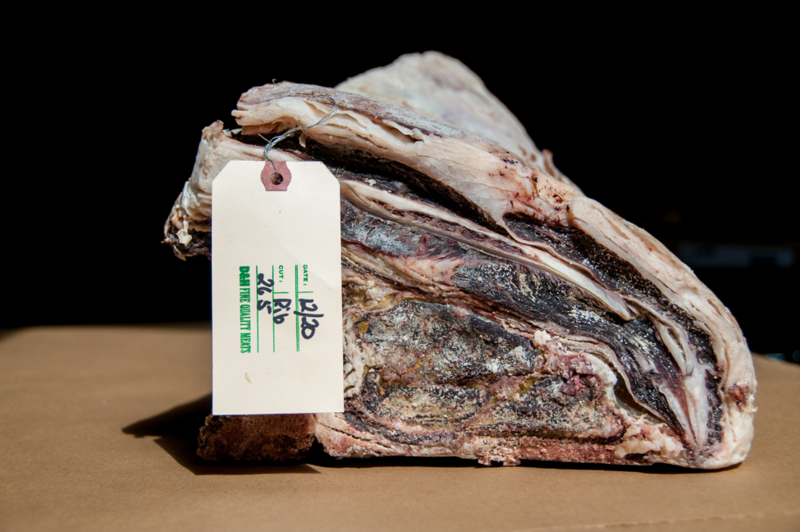 Aging is actually an important step in the meat-making process. Dry-aged steak is perhaps the most commonly aged meat among carnivorous connoisseurs, with a distinct musky flavor and tenderness that only months of patience bring. But actually, a lot of the meat we eat receives this treatment to some extent. Even game birds, lamb, pork and fish sometimes hang around awhile. In this podcast, I talk to Jason Yang, head butcher at Fleishers Craft Butchery, and Paul Whitman, co-owner and manager at Fischer Bros & Leslie kosher butcher, about how and why we age beef.